ScreamWorks Records presents a chilling collaboration with composer Elia Cmiral in the composer’s latest collaboration with writer/director Mark Young (Tooth & Nail, The Killing Jar). 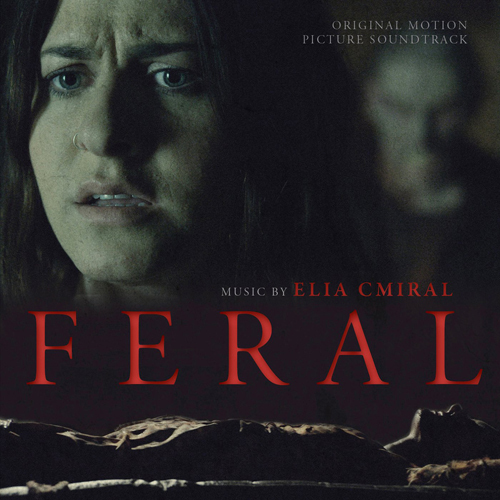 Their latest film entitled Feral had a limited theatrical release in the US last week and stars Scout Taylor-Compton and Olivia Luccardi as two girls from a party of six whose celebratory camping trip goes horribly wrong. A mutated virus that turns people into rampaging cannibal zombies pits former friends against each other and it’s up to the remaining survivors to find a way out of the nightmarish scenario. Feral marks the fourth collaboration between director Mark Young and composer Elia Cmiral, who recalls: “From the very beginning, I saw Feral as a drama/thriller and I was greatly inspired by the girls characters and their development in the course of this hopeless set up going from bad to worse. Besides human characters there is a theme for the haunting, dark and silent forest keeping a grisly secret - a feral virus. I wanted to have a score with a large scope stretching from drama to the suspenseful dark moments and to the wild actions.“ The score features a string ensemble with piano, extended with contemporary electronica.